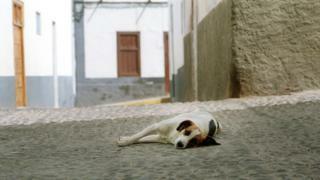 The end of the Spanish siesta? Many Spaniards were glad to hear acting Prime Minister Mariano Rajoy announce proposals recently to end the normal working day at 6pm, rather than 7pm or later. It spells the end of the two-hour afternoon siesta - but this has long tormented parents balancing work with the needs of their family, writes James Badcock in Madrid. "In my house we would be totally in favour of changing the schedules. My kids virtually never see their father during the week," says Cristina Matarranz from Madrid, who is on her own with her three-year-old girl and seven-year-old boy after she finishes work in a bank at 3pm and picks them up from school. The medical supplies company where her partner works insists on employees working from 9am in the morning to 7pm at night - the classic Spanish office timetable which includes a two-hour lunch break from 2pm to 4pm. As it takes him an hour to travel between home and the office, he doesn't have time to enjoy the once-traditional home-cooked meal and a nap at lunchtime - and he only gets home at 8pm, Matarranz says. "Very rarely do they let him work from home. People at school don't believe our children has a father - he has never picked them up or attended any events." In a country where unemployment stands at 21%, it can be hard to ask for concessions from an employer, which is why campaigners such as Jose Luis Casero want incentives to be introduced to make companies change their hours. "People want to work but they also want a life," says Casero, president of the National Commission for the Rationalisation of Spanish Schedules. He thinks employers who introduce flexitime and home-working should be rewarded with tax breaks - and he wants the government to provide more nursery places, and to open schools earlier in the morning. The reason Spain has a low birth rate of 1.32 children per woman, compared to 1.58 for the whole of the European Union, is partly to do with the state of the economy, he argues, but also "because people are tired even when it comes to human relationships". Carolina Dobrzynki Kearney, a Madrid-based single mother who works in marketing says half her day is wasted because clients are unavailable for long periods. "I could get my work done in six hours but I need people to take my calls," she says. "Until 10 in the morning no-one will answer, and then again from about 1.30 or 2pm it's impossible. So I find myself setting up conversations with people between six and eight in the evening when I would much rather be in the park with my daughter." It's a constant battle to defend her family space, she says. "As individuals we have to try to make a point of saying no to work-related tasks during family time, but you get looked down on for doing that. "People in Spain are fixed in their ways like cogs on a wheel. They complain about their schedules, but that's all. Someone is going to have to make this change happen." One idea put forward by Rajoy is to turn Spanish clocks back one hour from Central European Time, and to align the country with Portugal, the UK and Ireland. This would in fact be a return to the status quo before 1942 when the country's dictator, Francisco Franco, moved the clocks forward as a gesture of allegiance to Hitler. Jose Luis Casero blames the "abnormal" use of Central European Time for a late-hours culture in which prime-time TV runs from 10pm until midnight. "Spain needs to use the time zone it is in," he says. "The Greenwich Meridian passes through Zaragoza." But it's the end of evening work that would represent the biggest change for most families. For many years Consuelo Torres's job with a multinational telecommunications firm kept her in the office until 7pm, obliging her to drive around during her unwanted two-hour lunch break to deposit her four children with carers for the evening. Recently she took action to change this, knocking an hour off her daily schedule and cutting the lunch break altogether. Now Torres works for seven straight hours from 9am to 4pm and goes home with her children after school. "I don't even lose money due to the saving in petrol and the fact that I have dropped a tax bracket," she says. "A lot of people don't do it because they fear reprisals from the company. But there is a growing social clamour for change now." Some Spanish residents, such as Penny Thompson, a British media professional and entrepreneur, fear the country could lose some of its charm, however, if it banishes the concept of the siesta period altogether. "To have a bit of a break after lunch is reasonable given the hot weather you get here from this time of year to October," says Thompson, who has lived near Malaga for the past decade. "Most families like to have a family meal in the evening. Because of the heat, they're not going to have it in the early evening. "And at lunchtime too, there is a focus on proper cooking with fresh ingredients here. That food takes time. If you're going to do that for a family meal, you might like a little rest afterwards." Modern life can ride roughshod over our internal clock. We want to believe we can do whatever we want at any hour of the day or night if we need to, be it having dinner at 11pm, or flying to New York at 4am, with no ill-effects. However, millions of years of evolution have given our bodies a finely-tuned internal clock. Are you in tune with your body clock?